China’s VPN crackdown: What if it’s just about money? China’s VPN crackdown aims to stop people using VPNs to avoid heavy-handed government censorship. The weeks after ‘president’ Xi Jinping made himself boss man for life saw some truly tragicomic attempts to make people stop laughing at the state of the emperor’s clothes. In one particularly tin-eared move, the regime banned the online use of the names of two novels: Nineteen Eighty-Four, and Animal Farm. But while this all sounds par for the course from strong-man autocrats, and while there’s nothing in the world funnier than a lifelong beaurocrat with a chestful of tinpot medals stamping his foot and screaming, ‘stop laughing! It’s not funny!’ there might be another element to the story. In America and to some extent the rest of the world, we’re used to seeing an antithesis between private businesses and government. Businesses make it clear what they think of government in phrases like ‘regulatory burden,’ and we’ve seen a kind of theatre of resistance to heavy-handed government overreach in democracies – as when Apple refused to decrypt iPhones for the FBI. In China, there’s no such division. There, the state is all. And it uses that position not just to enforce conformity, but to extort finances. Which is why some observers think the real reason for the Chinese crackdown might be to force all Chinese businesses to use a different set of tools – those provided by the Chinese state. For Chinese business users, VPNs provide a lifeline in much the same way as they do to private citizens and academics: they offer a sort of underground railroad to internet freedom, a way to reach parts of the web where facts are checked independently and falsehoods pointed out vehemently. Cindy’s feelings aren’t that uncommon – and neither is her dependence on VPNs for ordinary business actions like research. For instance, Google is banned in China and Chinese businesses that rely on it for their email and productivity hosting – the way millions of other businesses the world over do – must use a VPN to access it. China’s solution is to force Chinese businesses and individuals to use government-approved VPNs. This sounds kind of like government-approved labor unions to me, and the result will likely be the same: government-approved VPNs will monitor their users and require them to pay for the privilege. This will create two-tiered access to the internet: completely censored access for individuals, and semi-free, monitored access for companies. It will also have the effect of driving many foreign firms out of China altogether; anyone whose business address is in the EU will look at the new Chinese regulations side by side with GDPR and do the maths. Either the company head office moves to Hong Kong, or the company has to stop doing business in China. Make no mistake: this kind of heavy-handed, isolationist behavior will damage the Chinese economy, stifle innovation and retard Chinese scholarship. But businesses that are already big will clean up, forcing their own products on the Chinese firms and consumers who now have no other choice. They’ll rake in inflated profits, indicating that China’s historical problem with corruption is still very much a live issue; in fact, the newest crackdown on foreign VPNs comes shortly after the country was involved in a bribery scandal that was reported extensively outside China. News seeped back in through protected web traffic, embarrassing the Xi regime. So it seems like way which way you slice it, the impetus behind China’s spiral into deeper authoritarianism is part power-hunger, and part good old-fashioned graft. 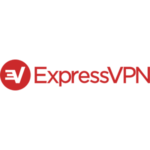 Stay safe, stay secure, stay encrypted using one of our recommended VPNs from below.